Life on the BN Team can be quite hectic. You cannot imagine how many photos we have to filter through day after day. But when it comes to wedding photos, there is just something about the magic of the weddings that makes it very special and worth it! 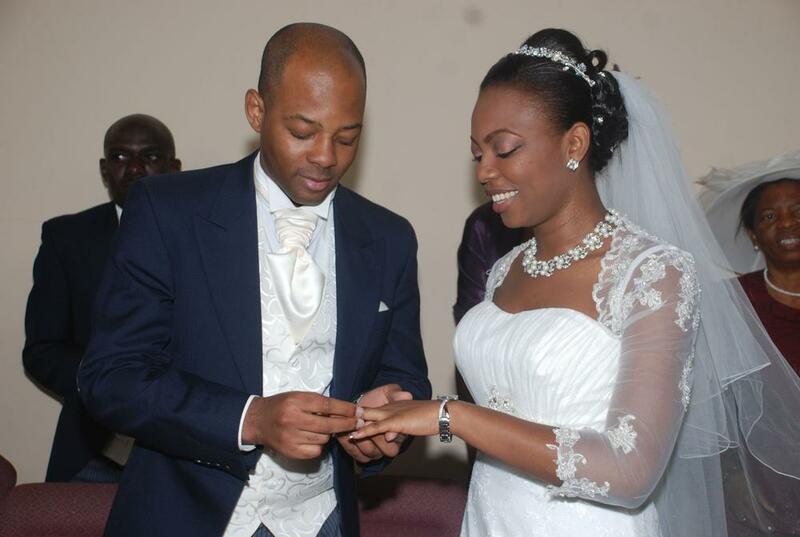 The wedding of Yemi Akingbade and Ade Lanipekun took place on Saturday 12th September 2009. 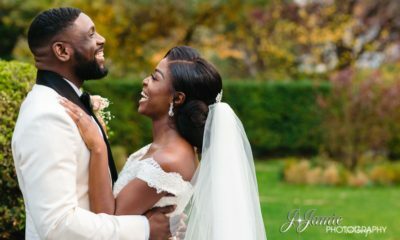 For Yemi and Ade, it was an absolutely joyous occasion as they were joined as husband and wife at the Redeemed Christian Church of God (RCCG), City of David Parish. 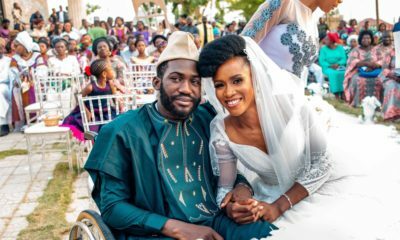 The couple met three years ago in the UK and started dating – now they are joined together as one! 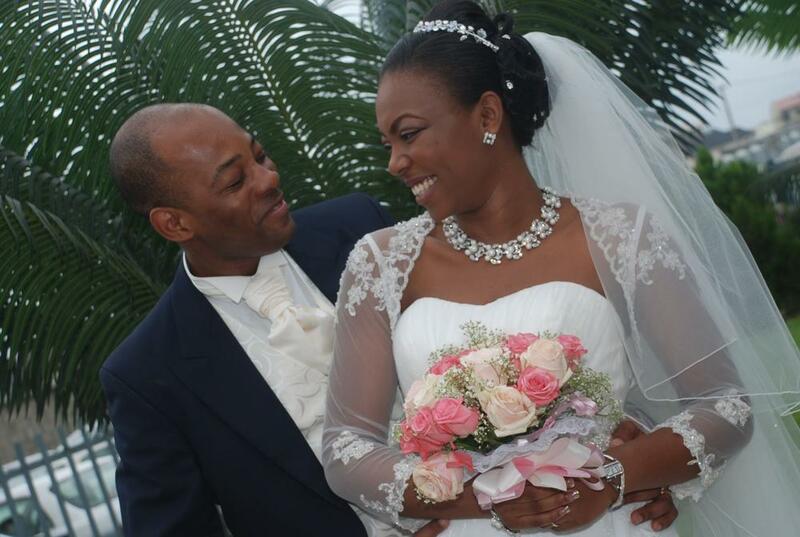 The pink and white theme of the reception held at Landmark Village helped create a fairytale-like ambiance with the bride as the perfect princess in her stunning white lace wedding dress, diamond and pearl jewellery and hairpiece. 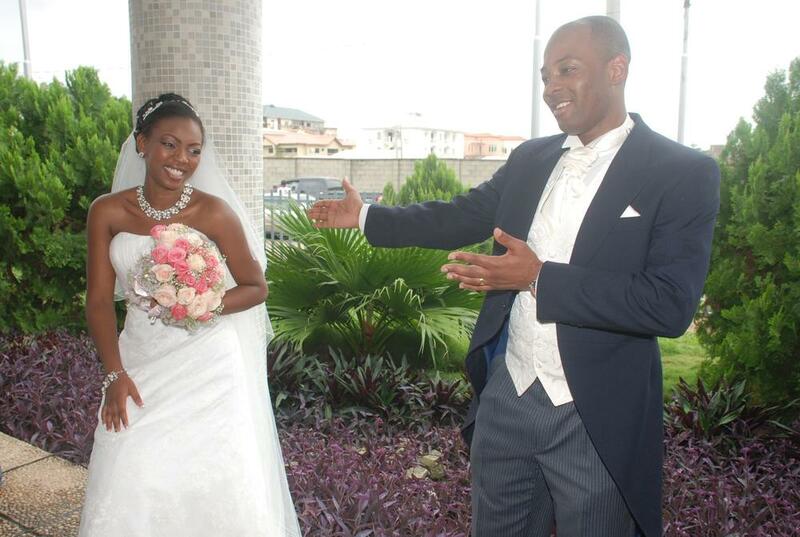 The groom was prince charming in his blue three-piece suit with a longtail coat. Absolutely beautiful wedding! Congrats to the couple. Now that’s a nice cake…Wow!!! Oh LOVELY! These are beautiful photos. The bride looks gorgeous. The bridesmaid dresses are so nice too & that color is very flattering. And whoever did the decoration for the reception did an awesome job. The pink frills and satins are just fabulous! omg! 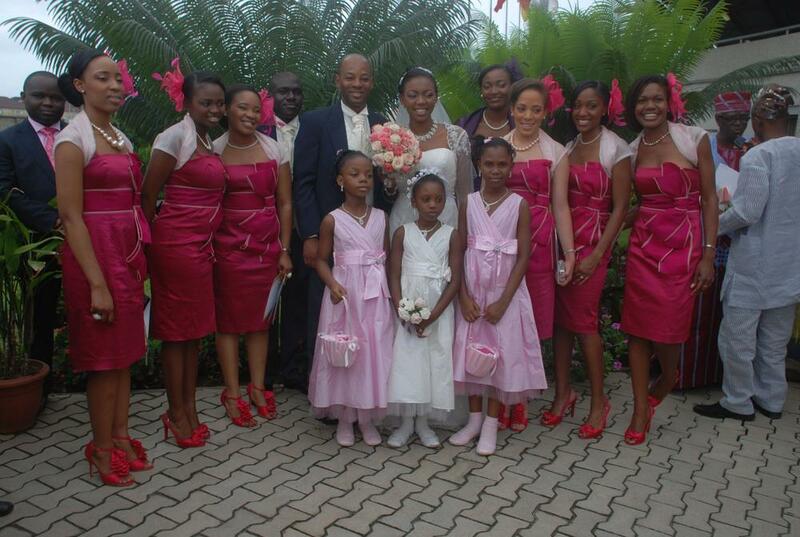 I love the bridesmaids dresses, love the cake, love yinkA aiyefele!!! such a cute couple! 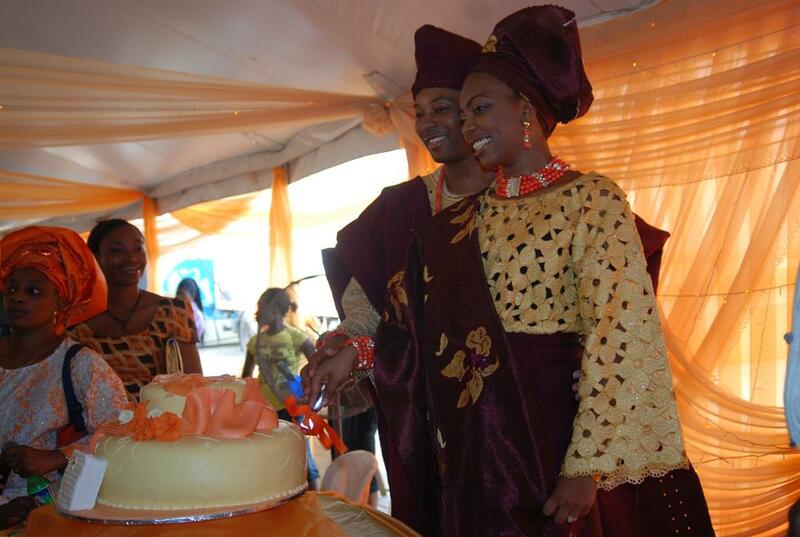 Lovely couple, Gorgeous Traditional outfits and realy nice cake. the wedding is awesome,nice couple(cute n handsome) the make up is so amazing to her. may god bless them in their marriage life. WOW @ the cake…..that is one fabulous cake. Vendor Please!!! The wedding theme is magical, makes me want to get married now. I wish the couple all the best. and that cake…fabulous all around! the wedding cake is gorgeous.OMG! Wow…. Bootiful, bootiful luvly pics, colourful decor & yummy cake. Makes me wanna have a 2nd wedding. lol. Cool really. The bridesmaids dresses were beautiful! Now that’s a bride who cares about how her girls look standing next to her as opposed to those brides that don’t want anyone to look better than them so they insist on putting their friends in ugly outfits, forgetting that the pictures will be as ugly no matter how nice they may look! 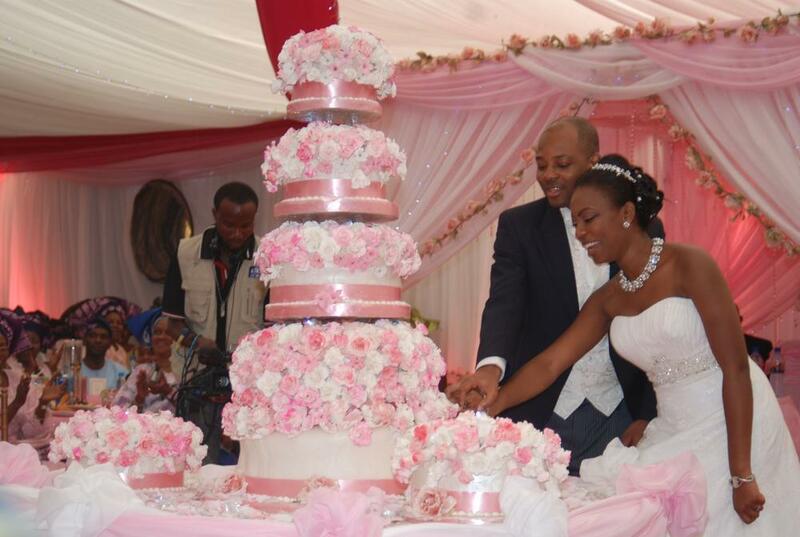 Love her color scheme, the cake is fabulous, they look young, fun, vibrant and totally in like AND love with each other. Make God bless una nyafu nyafu o!!! 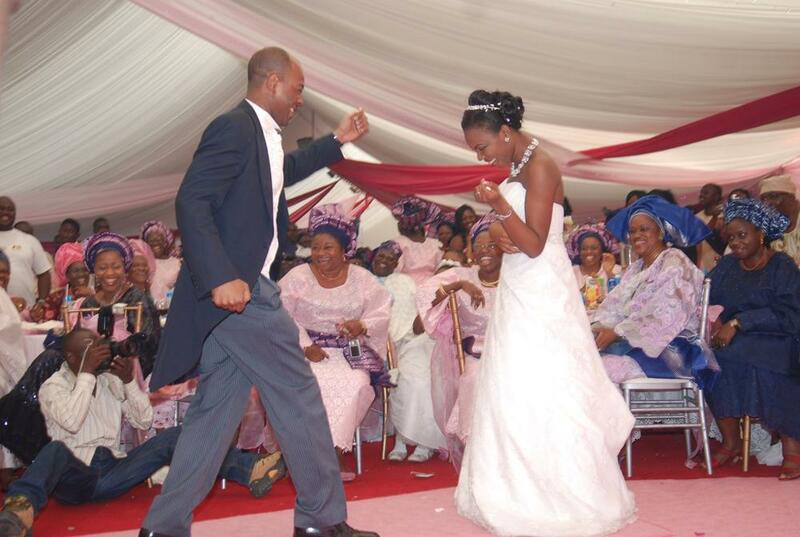 There are so many weddings going on especially Nigerian weddings. I’ve been to like couple of weddings in the last month, and some made me not want to get married, and some make me want to get married soon. I try not to focus too much on the wedding, but this wedding looks very organized. 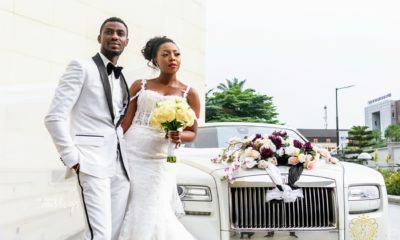 Beautiful couple, the traditional outfits is fabulous, the bridemaids look beautiful, the cake is just on another level, never really seen something like that. It looks like it tastes good too. wow. 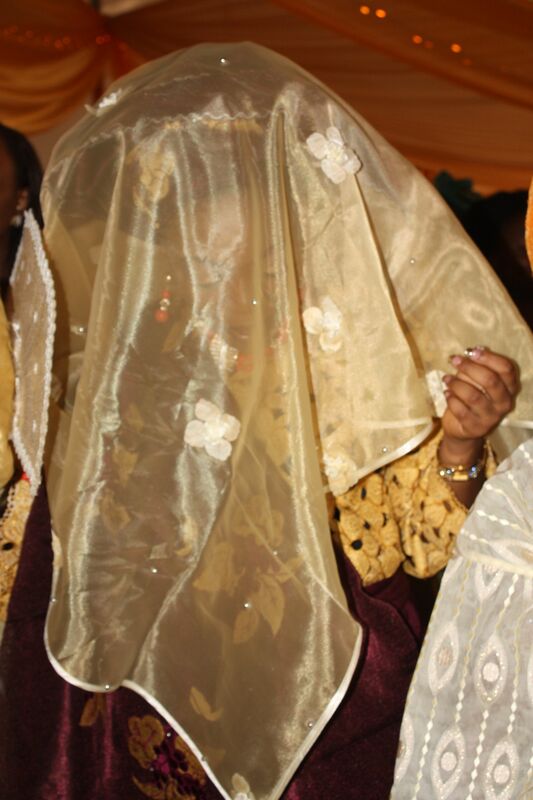 The bride is absolutely beautiful. Beautiful wedding pictures. This is the best wedding cake that i have ever seen in Nigeria. Nice one! 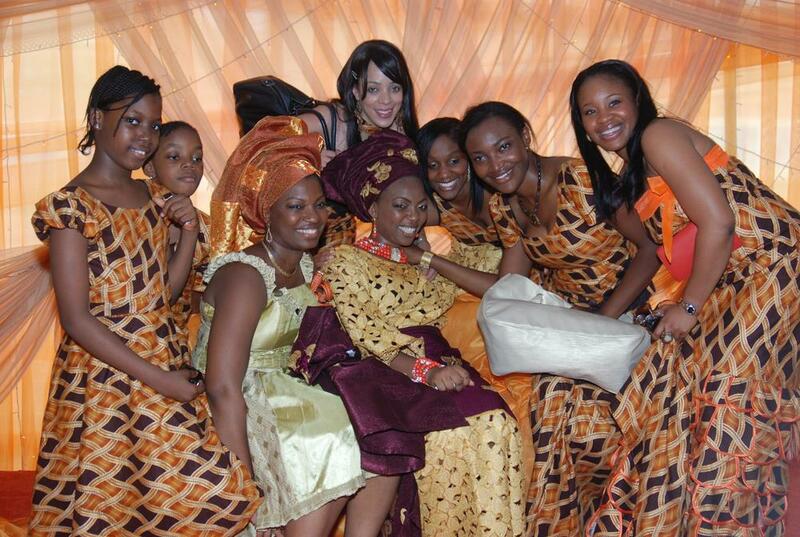 omg 99% theme of my sistas wedding, chei! The wedding cake is beautiful! am I the only one whose jaw dropped at the sight of the cake? I love the cake. 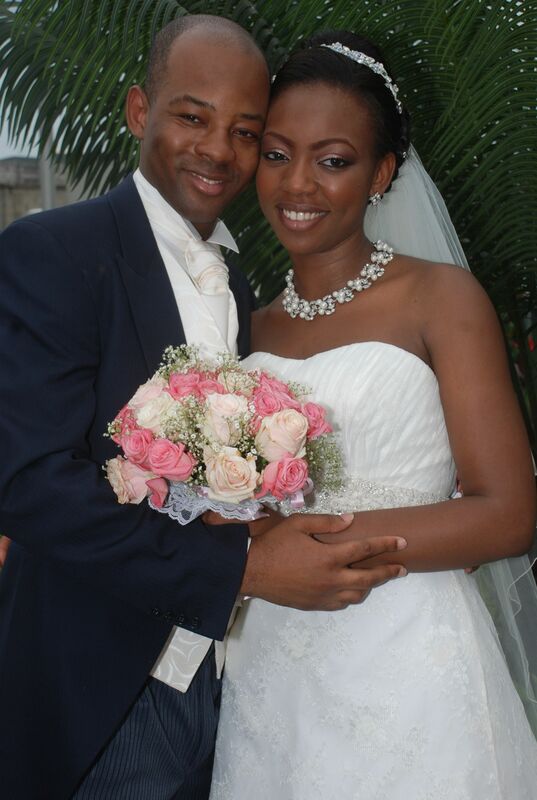 The bride is pretty, the groom is handsome… may God bless this union… I want to marry! i am praying for you “two=one”,may u forever remember any 12th of sept and give thanks to almighty God.’Am using urs as a contact to “we” that are looking unto God for a day like this,may the lord Grant us. 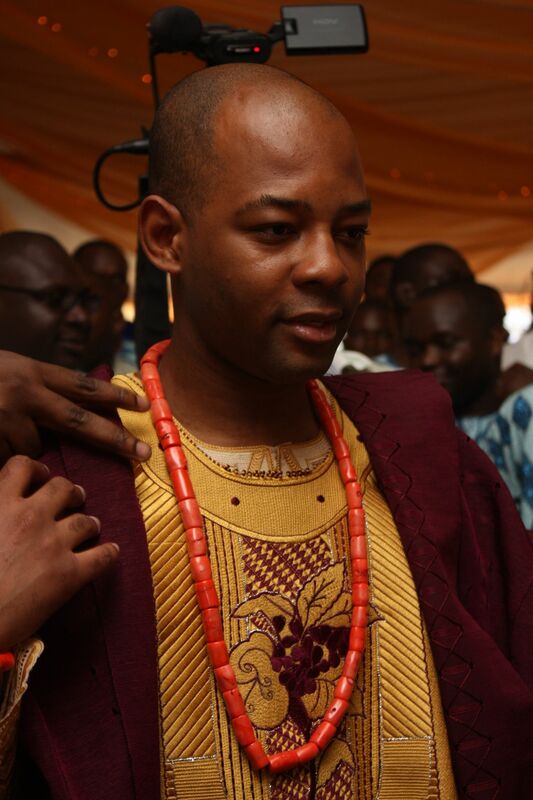 Mind u is not all wedding that u can wish to have kind but urs was different. i love all aspect. (08068996895, nigeria. yemi). 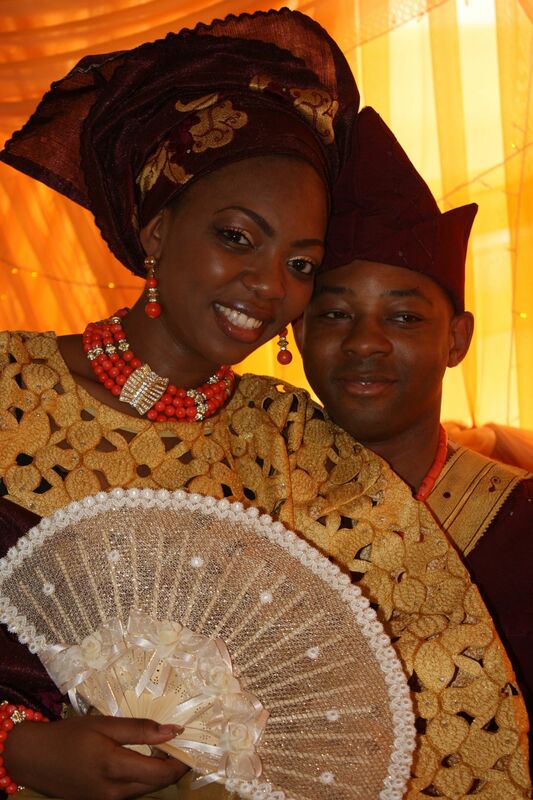 Here’s wishing you both a very happy married life filled with Gods never ending mercies,favor, blessings and love. May your lives be blessed beyond measure with lovely kids and happy endings. all d best…congrats. Omo una no easyooo! Well what can I say other that may ur Hearts melt together as one in Jesus Name Amen. 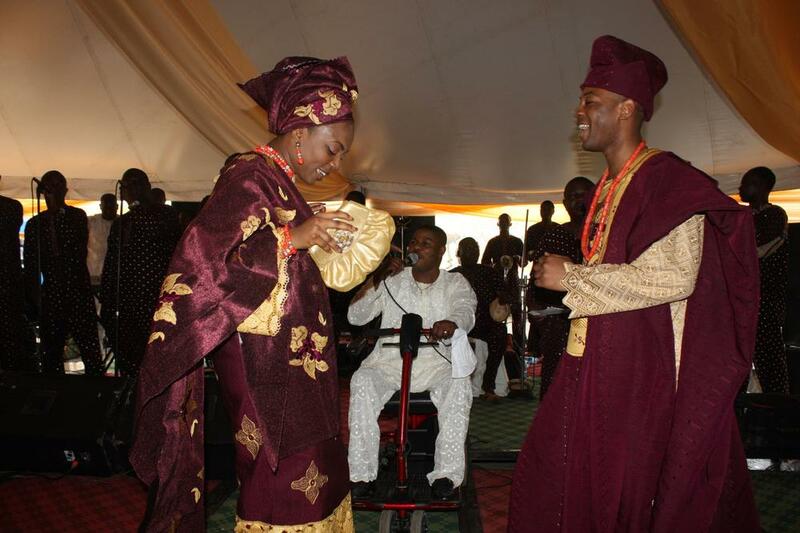 May God give both of U his grace in all respect & may ur dreams be fulfilled in Jesus name. Have a wonderful married life. Congrats. Wow! Love the wedding pictures. Judging by the pictures it must have been an awesome wedding. Love the cake, love the background and the bride is beautiful. 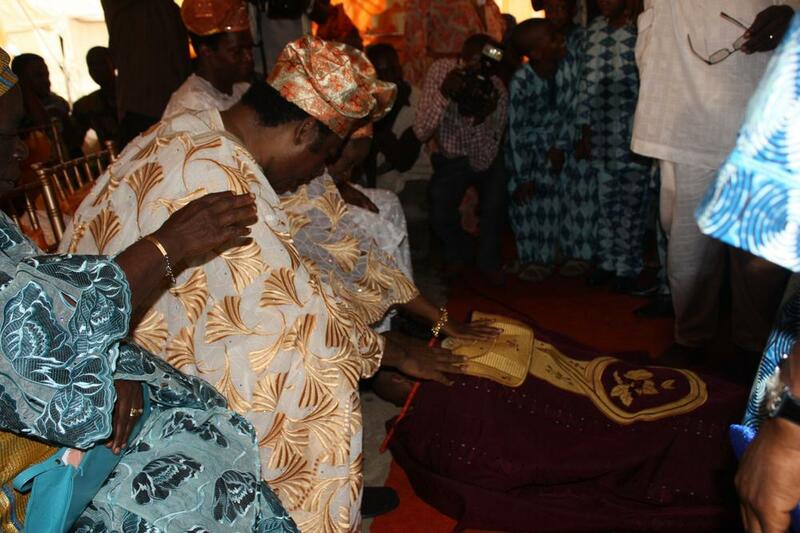 May almighty God be the guidance of this marriage. 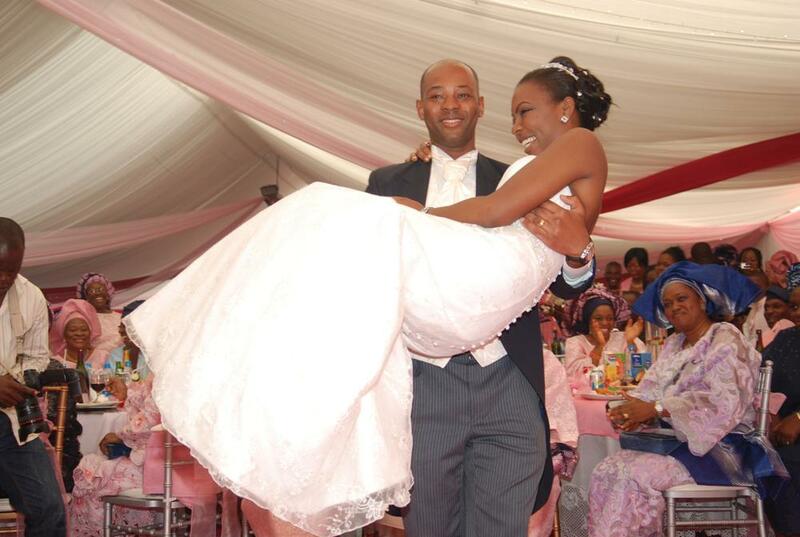 Happy Married life. Nice goodlooking couples. 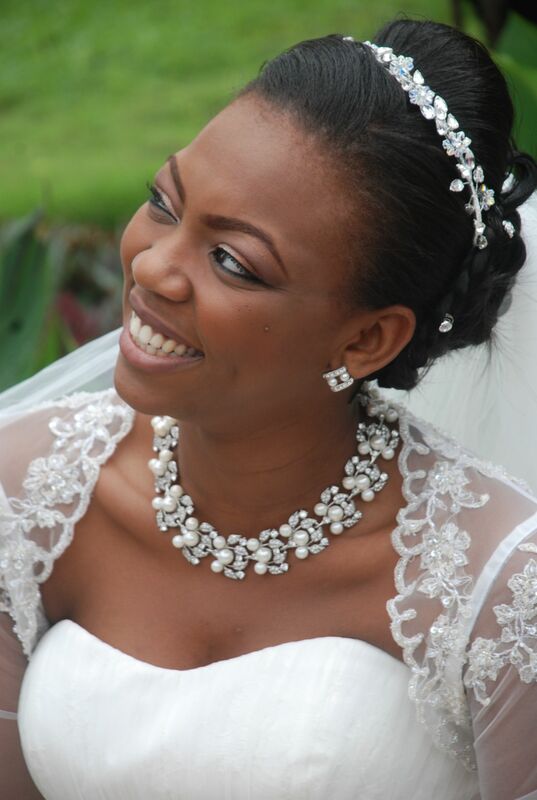 stunning bride wiv graceful smile. Wish them both happy unioun n great memories to come. 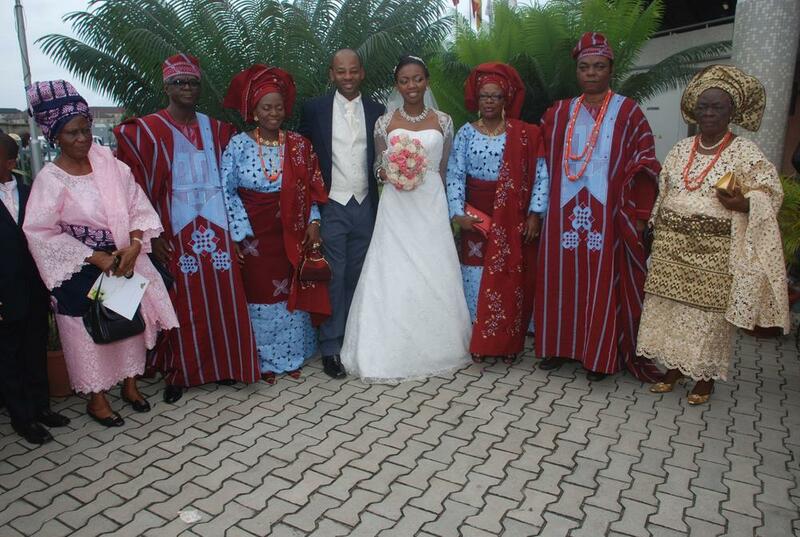 i love your wedding pictures…simple and classic…GOD bless ur union! 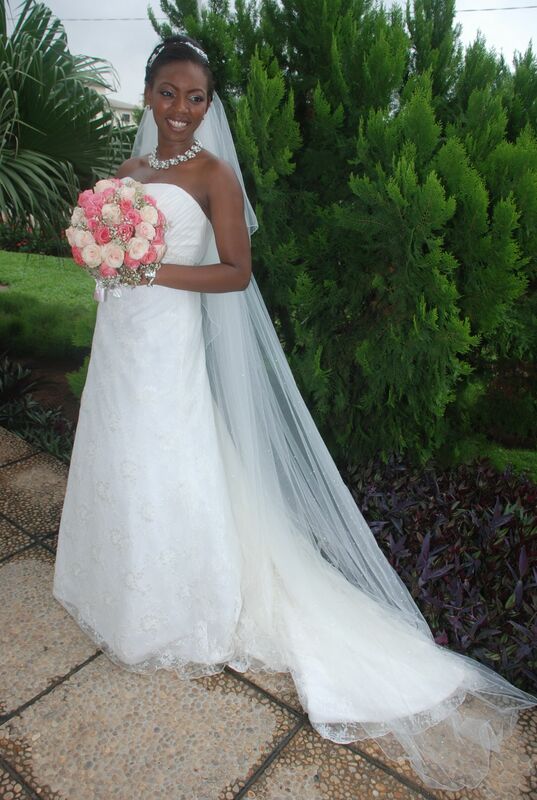 hi my name is Lindiwe,i ama south african and i am engaged to an nigerian.we are about to get married in Esater 2010 in Enugu state Nigeria i htank god for your website Bella as it is very informative esp your wedding features i now have an idea on how i want my wedding to be.it will be my first visit to Naija and it will be my wedding.How nice i am looking forward to come to your country.